In a service industry, your staff are your business, your reputation relies on them. Once you have invested the time and money in recruiting the right people, the most important thing is not to lose your employees – which will cost you more money in the long term. How do you keep hold of your best assets? It is estimated that around one third of new hires leave their job within six months. Having a good onboarding strategy can help with this issue – making staff feel motivated and welcome from day one. By planning their first week, integrating them into the team, educating them about your company history, ethos and values as well as providing them with information about their role and the business will help new starters feel valued. They will also be your excellent brand ambassadors ready to talk about their new employer to others. Read our top five onboarding tips. Your talent is a resource you don’t want to lose. From the start, try to find out what drives new starters, what type of work they may be interested in the future and make them aware of how they can advance in your company. Defined career paths are a great retention tool. Encourage professional development for relevant roles. This helps people understand that while they may start in a certain position, there’s the potential for a successful career with your company … not just a job. Treat candidates as more than just a number or CV; choosing a new job is a major life change. It’s worth taking the time to get to know new joiners and what they want out of this career move. It all goes back to having a deeper understanding of your candidates and what makes them tick. 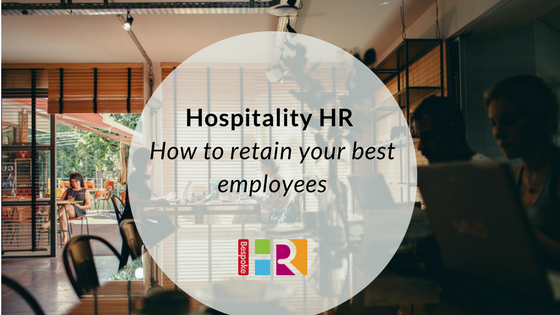 Consider what specific benefits will be of interest to your staff? Can you give them a flexible benefits package where they can choose the benefits to suit their lifestyle? A competitive package is essential but options such as flexi time/occasional working from home demonstrate you value their needs outside of the workplace as well. Maintaining a good work-life balance is important to many job candidates. By allowing flexibility, you’re creating happier employees who will be more dedicated and go the extra mile for you. Consider offering fast-track management or promotion schemes for employees who demonstrate potential and high performance. How about a staff member of the month or year? To get new staff up-to-speed quickly with the skills they need – continuous training is essential to success. Your casual workforce may be just as valuable as permanent staff, but they’re often not engaged in or offered the same development opportunities. Consider giving all staff the same access to training to ensure the whole workforce is engaged and motivated to perform at their best. Develop training with flexibility in mind because a night worker doesn’t want to have to sit in a classroom to do a training course at 8am after a shift. Develop your training so that it can be done flexibly e.g. on a laptop or phone, at work or even at home. Setting clear goals and objectives gives a sense of purpose to the new employee and ensures everyone is on the same page from the outset. Regular one to ones is essential for new starters and continuous feedback will enable your new starters to stay on track, ask any questions they have, discuss any problems or issues that arise and really start to contribute to the success of the business. No time to do all or any of the above OR need to move quickly? Consider outsourcing part or all of the recruitment process to us. For a free 15-minute consultation or some advice on how to manage your HR, get in touch.